Yellowstone National Park has named a new deputy superintendent: Patrick (Pat) Kenney. 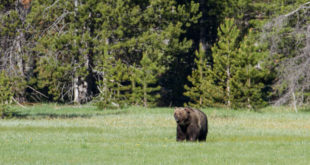 Government investigators will visit Yellowstone National Park to follow up on allegations of sexual harassment in the Park. More complaints and allegations have surfaced regarding sexual harassment within the national park system—particularly in Yellowstone and Yosemite.